Enjoy the 2019 AFL season with exclusive Medallion Club tickets to Marvel Stadium (formerly Etihad Stadium) and the MCG. 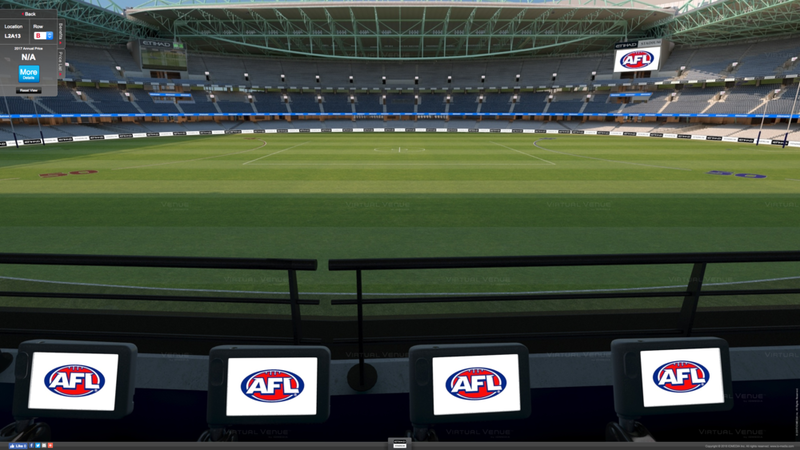 As a trusted AFL Authorised On-seller, The Golden Ticket has premium AFL tickets to every game and every round. With exclusive access to Medallion Club tickets and seating at the MCG and Marvel Stadium (formerly Etihad Stadium), you can watch the game with vantage views, creature comforts and access to exclusive Medallion Club bars and restaurants. Normally, you need an annual Medallion Club membership to enjoy seats like these. But, as a trusted AFL Authorised On-seller OSAFL18/31, The Golden Ticket has premium AFL tickets to every game and every round. These premium seats provide uninterrupted views at centre wing and wing, undercover from the elements and with easy access to Medallion Club dining options. When you want entertaining to feel less like business, you can relax with your guests at the Legends Lounge Bar, including newly renovated function rooms, modern facilities and panoramic viewing behind glass so you never miss a minute of the action. If you want to turn your day into something grand, Medallion Club Dining offers an all-inclusive hospitality package – including 2 hours of premium food and beverages before the game, with continuous beverage package throughout the match and concluding 30 mins post match. At selected matches, there is also entertainment by high profile MCs and guest speakers. Dining packages are also available, with a choice of venues to suit your tastes. The Carvery is the ideal restaurant for grazing, offering a weekly changing buffet menu featuring seafood, antipasto and a selection of meats carved for you. The Grille is the Medallion Club’s finest à la carte restaurant and features an extensive wine list produced exclusively by Penfolds, 3- course meal and continuous beverage package beginning 2-hours pre-match and concludes 30 mins post match. Looking for tickets and packages to the AFL finals? Looking for tickets to the 2019 AFL Grand Final? While we have tickets and dining packages available to the first 3 weeks of the finals series, all our 2019 Toyota AFL Grand Final tickets are sold as premium packages.